I have been lucky to have been born into a family with great grilling traditions. Every week or so, our family has got to have a grill party, and I have got to admit you can never get enough of those parties. But you don’t want to keep doing the same thing week in and week out. So having a good recipe book is always helpful. Nothing’s more fun than bringing some variety to your grilling schedule. That’s where Weber’s On The Grill comes in handy. In case you are not familiar with Weber, they make some of the best grill systems on the market, and their reputation and brand precedes them. 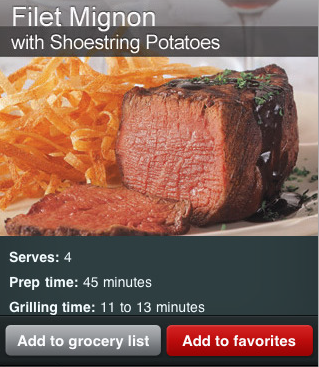 So if you have a Weber grill, you can now complement it with this cool app to bring more fun to your grill days. Weber’s On the Grill comes with 250 cool classic recipes including rubs, desserts, sauces, and … These recipes are taking from Weber’s grilling guides that are available on the market. What I like this app is that you can easily start your own grocery list based on this recipes on your iPhone and pick up your items without forgetting those small little ingredients. And once you get to your shopping store, you can check off the items you have picked up, and the ones that you still need. There are also a lot of tips that you can pick up to get more out of your grilling experience. There are over 100 tips about how to grill more effectively. You can also watch videos that show how professionals get the job done. And who can forget about the timer feature that is available on this app that makes it easy to time different activities and easily follow the instructions provided in this app. 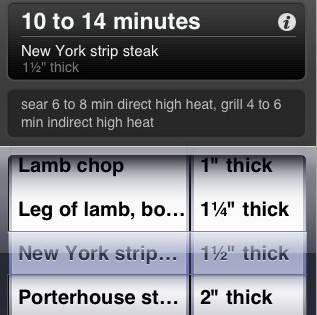 Overall, Weber’s On The Grill is one useful application for folks who can’t get enough of their grill. If you are planning to get your grill game to the next level and make better food for your grill parties, you are going to love all the tips and features provided in this app.